I want open command prompt but when I click to open it, nothing happen/execute. Hi, how are you trying to open new Shell window? Ok. Thank you. It's working. But I don't know why click/double click icon on the taskbar not working. Click and hold left mouse button over the Shell icon in Taskbar. The following window will pop up. Make sure yours is configured the same way. 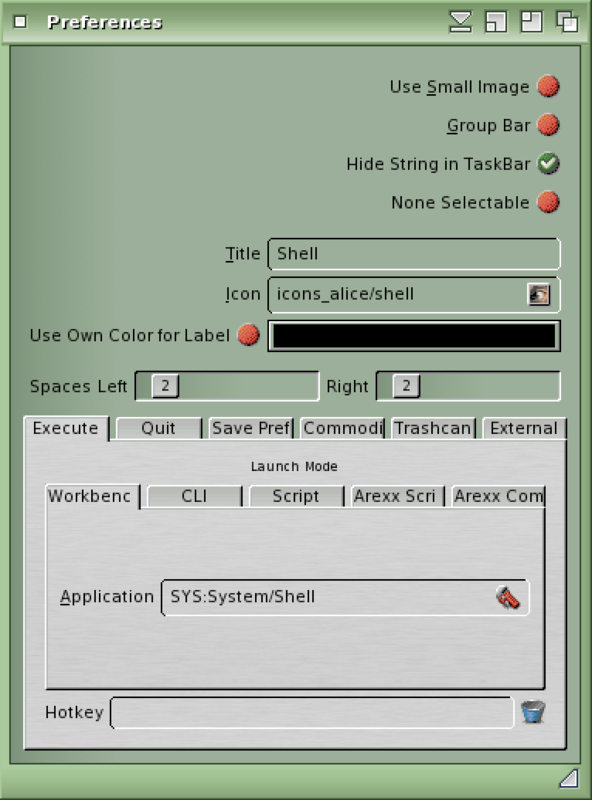 Basically the icon launches SYS:System/Shell so if you go to that location and doubleclick the icon and the Shell works, it should work from the task bar too. Thanks for letting me know, I am glad it works for you now.